Add tofu and cook about 4 minutes, or until browned. 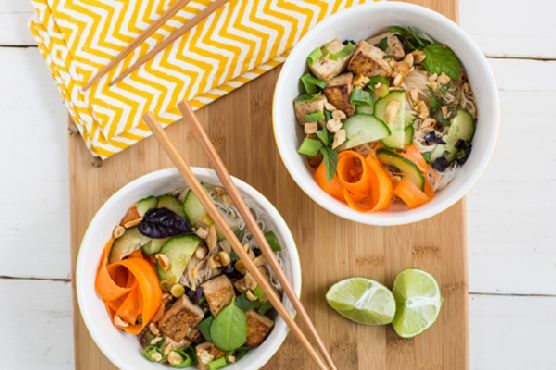 Remove from heat and set aside.Divide noodles, tofu, carrots, and basil into four bowls. Top with remaining ingredients, as desired. Ladle dressing into bowls and serve.